Been a hell of a first day of our family trip to Cortni’s home town Ponca City. Cayden’ head had been itching so we checked em out and he had lice! 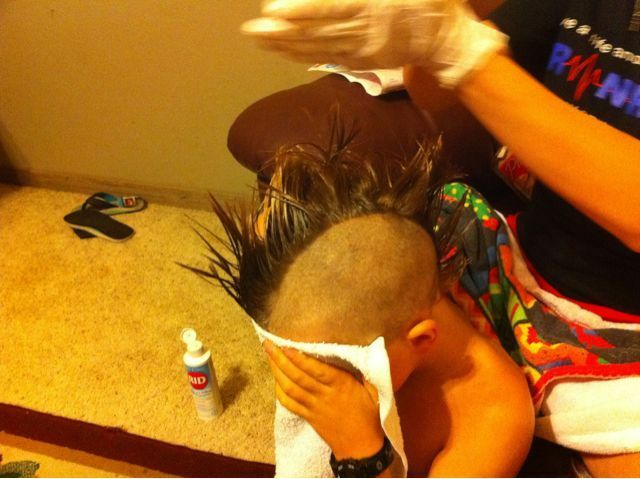 So we got some stuff to doctor em up and I gave em a Mohawk!